The blue screen of death is a common error experienced by Microsoft Windows systems. It’s also known as BSOD and it usually means that your PC can’t easily recover due to a critical hardware issue or because of crashing drivers. This is the kind of problem that affects your whole operating system. 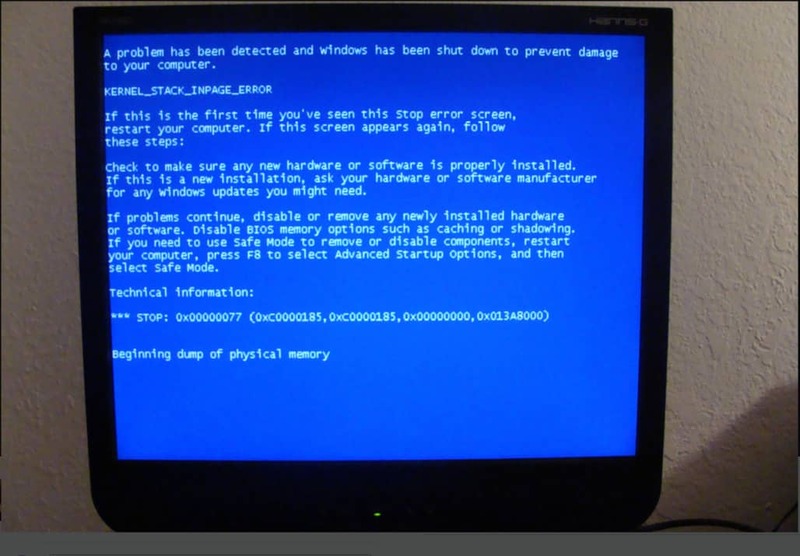 If you’ve experienced a BSOD, you need to study it more carefully to learn all the possible ways to solve it. The first thing to ask before finding a solution is what exactly can cause such an unsightly error? BSOD errors are found in all Windows versions including Windows 10. The most common causes are faulty hardware and driver issues. Another cause can be a problem with low-level software, though regular apps shouldn’t normally create any problems. Windows stops working when experiencing a BSOD and the only thing it attempts to do is go through a restart. This type of error can be very frustrating as it doesn’t leave any chances to save data. Your Windows system does give you some clues about the BSOD through a ‘minidump’ file that saves some important information about the crash. This can be helpful when trying to identify the true cause of the error. Even though Windows 10 is the latest version which comes with many security and performance enhancements, BSOD errors can still appear. It will also provide less information compared to blue screens in older Windows versions. The only clue comes from a general error code which in many cases is insufficient to resolve the issue. In this article, we’ll present you the best methods for fixing blue screen errors. These troubleshooting tips are available for all Windows versions except when we’ll specifically analyze Windows 10 BSODs. Solving blue screen issues can take some time, so make sure you’re prepared to spend even several hours to get through all the troubleshooting steps. After a BSOD restart, Windows will usually attempt to search for a solution. This is the case for Windows 8 and 10. Even so, it could be worth going to the Action Center where you can troubleshoot the error. To find it, just navigate to ‘Control Panel’ and then find the ‘System and Security’ section. Click the ‘Check for solutions’ button found under the ‘Maintenance’ section. If Action Center proved ineffective, you need to take a closer look at those clues provided by Windows when the BSOD happens, any hint can be helpful to find a fix. These clues need to be investigated further. If you’ve missed the error code, then one simple way to recover that important information is to install BlueScreenView. Offered by NirSoft, this handy application checks your ‘minidump’ files that Windows makes during the BSOD error. It shows you all the information needed for all the crashes separately (if you’ve experienced more than one). Now that you have an error name or code, you can take it from here and do a quick search on the web for it. This is usually the first thing worth trying as most likely there is a fix for that specific BSOD error you’ve experienced. Investigating the error is a highly recommended course of action for Windows 8 and 10. If you’re still having a hard time discovering exactly how to fix a BSOD, then it’s time to analyze the root causes of these errors. 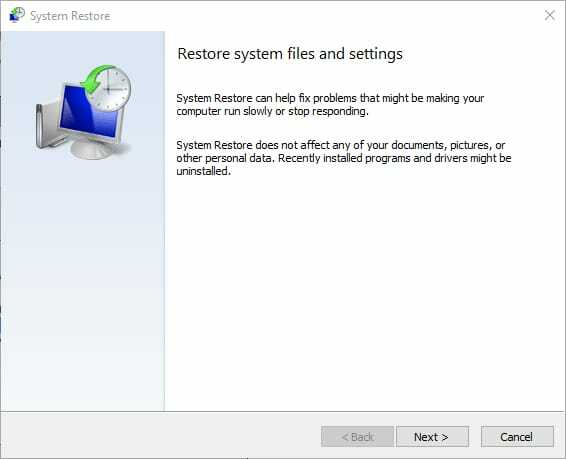 In case the error appeared recently you can try the System Restore feature which can be a huge help to fix a BSOD. Next, we’ll look at how this Windows feature works and why it can be helpful to learn how to use it. The main idea behind System Restore is to let you go back to a previous working state before things started to get so bad. Windows periodically creates restore points and it will always do this when installing updates or drivers. You can make a restore point yourself if you plan on trying to install anything that might affect the system in a wrong way. Sometimes things don’t go as planned and what you’ve just installed created other issues and it gets way too complicated to try to fix it. One thing to remember is that System Restore works on your operating system, so the snapshots it takes don’t include personal files. It’s not a backup solution. It’s only designed to restore to a state when the current problem didn’t exist. So, how do you use System Restore? The following guide was created for Windows 10. By default, you will see a list of all the available restore points that were created by Windows. Try to find an automatic restore point that happened before your BSOD error occurred. If it was a restore point created for a Windows Update or drivers you can also click on the ‘Scan for affected programs’ button to see whether some programs have to be uninstalled. Windows will offer you a comparison to figure out which programs or drivers will be removed and which might be restored in the process. This is not essential, but it could be useful to be aware of what will happen to your system. The restoring process will take a while so you need to sit patiently and wait. There’s nothing you can do to interrupt it as Windows will restart the computer. After it’s done, see if your BSOD still appears. It’s probably a software problem if this method solved your issues. If you suspect there’s a problem with one of your hardware drivers, it’s recommended to get your system updated to prevent BSOD errors from occurring. Obtaining driver updates can be done in different ways so let’s see what are your options. Windows 10 delivers the latest hardware drivers automatically so if that’s your operating system, and don’t see anything new when you check for updates, then that means you should skip this step. Windows Update comes with the necessary driver updates in older versions like Windows 7 and 8 too, but there’s a difference. The Windows Update treats these updates separately as optional so you need to open Windows Update and look closely there to see if there are any optional updates you might have missed. One thing that’s great about Windows Update is that it won’t interfere with graphics drivers, particularly if you’re using a dedicated graphics card from Nvidia or AMD. And this takes us to the next step. You should have a control panel for your graphics drivers. For example, Nvidia users have the GeForce Experience software. Access your particular application and check for the newest graphics drivers. Sometimes they get automatically downloaded but require manual installing. Although some free driver updater software come with bad reputations, there are many tools that are worth your time. They can deal with the problem of manually searching and downloading driver updates separately. Just make sure you pick a good driver updater program and not a bad one. Here’s our list of the best free tools created for this purpose. Some even allow you to reinstall current drivers to fix issues, so that could prove extremely helpful if you’re experiencing BSOD errors. 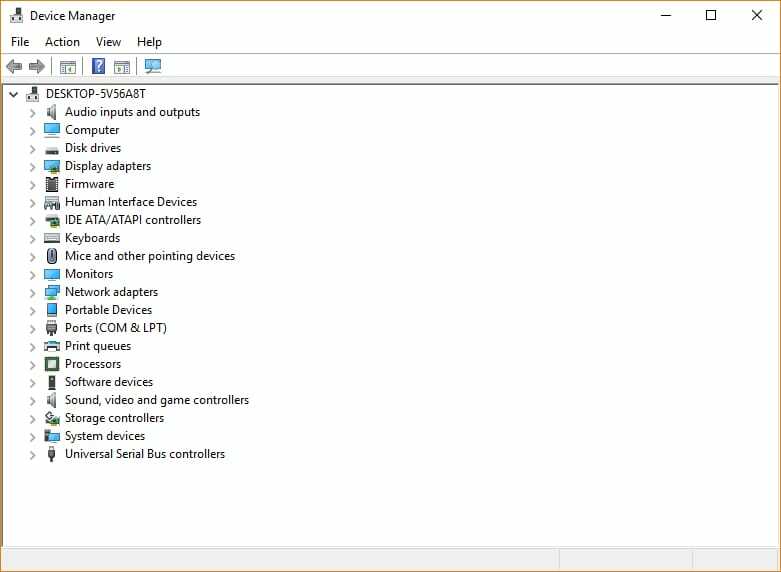 One method that can work best if you know exactly which driver needs to be updated is to use Device Manager. Open it by quickly searching for it in the search box of the Start menu. Find the faulty driver in the list and right-click it. The first option should be ‘Update Driver Software’. That’s the one you’re looking for. Windows offers you the option to search automatically for the driver, so select that. In case it doesn’t find any update, you will have to manually visit the manufacturer’s website and download it from there. Malware is a type of malicious software that can cause instabilities in your system. It has the power to affect certain levels of the Windows kernel so it’s essential to ensure your computer’s clean. Your antivirus usually takes care of it, but in some cases, it can’t detect malware that well as they can often be stealthier than other threats. 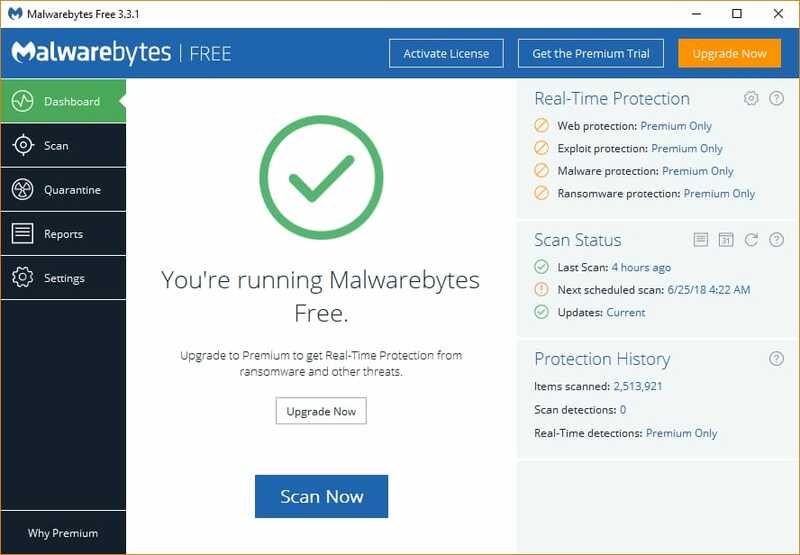 We recommend using Malwarebytes, the best anti-malware tool out there which can scan your whole system for free. Here’s how you do it. The tool will remove any detected threat so don’t worry if it finds anything suspicious. There’s also a premium version of the software that comes with some extra features, but you’re not required to purchase a license to benefit from the full scanning power. The free version works just as well, though you need to manually scan the PC from time to time. A possible cause for blue screens is hardware malfunctioning. To see if your computer has hardware problems, there are a few things you can try. You need to test every hardware component to make sure it works properly. Although for comprehensive hardware troubleshooting you will need to contact a professional, there are some aspects you can work on to detect problems or improve the way your hardware components work. 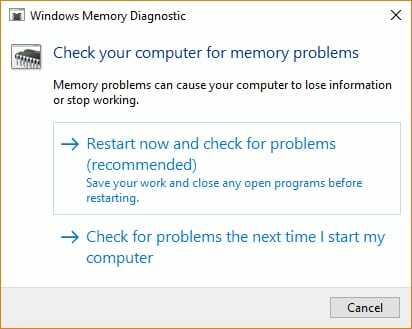 Windows provides a special diagnostics tool to figure out if your memory doesn’t work as it should. This utility can be easily found by searching for ‘Windows Memory Diagnostics’ in the Start menu search box. The testing process requires a reboot. When you open the tool you will be greeted by a dialog which allows you to select whether you prefer to do the testing right now or the next time you start the PC. Choose appropriately and the tool will perform a basic memory test. The results will be shown when you log on. This problem usually appears on laptops, but desktop PCs can also suffer from the lack of proper ventilation. Overheating can cause BSOD so you need to analyze your system to see if that’s something you should worry about. It’s better to try to prevent overheating issues early on because you might end up with a burnt-out motherboard. The most important step when trying to get rid of overheating is to clean the air vents. This is essential for any laptop, but desktop computers need to stay away from dust and debris as well. You should thoroughly clean these vents periodically to ensure a better air flow. If you know what you’re doing, you can even remove parts like the laptop fans and either clean or replace them. If your blue screen error is more severe and you can’t even access the desktop, then you could try booting in Safe Mode. This is especially useful if you wish to uninstall a certain faulty driver or update. The following guide has been made for Windows 10. A Windows 10 system that fails to start at least 3 times will trigger some options to help you repair the damage. In here you can restart the computer in Safe Mode. Press ‘Restart’ and after reboot press F4. Once your computer runs in Safe Mode you can uninstall updates or drivers. Here’s how you do it. Type ‘Programs and Features’ in the search box of the Start menu and you will immediately get the correct Windows application. On the left, there’s a ‘View installed updates’ button which shows you a list with updates. Find the most recent one and uninstall it. Open Device Manager either by searching for it in the Start menu search box or by using the WIN+X keyboard shortcut. Find the driver that’s causing you issues and select the ‘Uninstall’ option from a drop-down menu activated by right-clicking it. There are instances when a recently installed software has incompatibility issues with your Windows system. This is an issue that usually appears in Windows 10 and you’re pretty much causing the BSOD by opening that particular application. This problem can be solved by checking that software developer’s website for installing the right version or an upgrade. If no update is available, your only solution is to uninstall that application. Removing it is quite easy. Navigate to Settings>System>Apps & features. Look for that app, select it and press the ‘Uninstall’ button. Blue screen errors can appear when you’re trying to connect a new device to your computer which in some way is broken or incompatible. Once again, this is a frequent issue for Windows 10 PCs because it’s the most recent Windows version. Older devices are prone to incompatibilities with Windows 10 so be sure to look up the website of their manufacturers to see if that’s the case for you. Sometimes a peripheral just goes bad without an apparent reason. In that situation, you’ll just need to find a suitable replacement. If you’re fairly sure there’s nothing wrong with your computer’s hardware, the final option to try and solve software-caused BSOD issues is to get a fresh start by reinstalling Windows completely. Those reluctant about reinstalling Windows will probably prefer the Reset option that’s available for Windows 10. It might be a bit easier but it will bring back all that bloatware installed at the factory. This is why the most recommended option is to do a clean install. For this, you will need a USB drive or a DVD and to go through a lengthy process to make it boot with the Windows installation. Keep in mind that this process deletes everything on your computer so make sure you do a full backup. Did our article help you solve your problems? We have a lot more articles covering a wide range of topics like How to Open Command Prompt in Windows or How to Fix Slow Internet Connections.